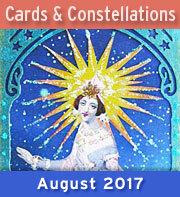 ﻿	Alpha Stamps News » From Provence to Gargoyles! You might remember in last Thursday’s Newsletter that Design Team Emeritus Teri Calia created an adorable Christmas Magic Shadowbox. 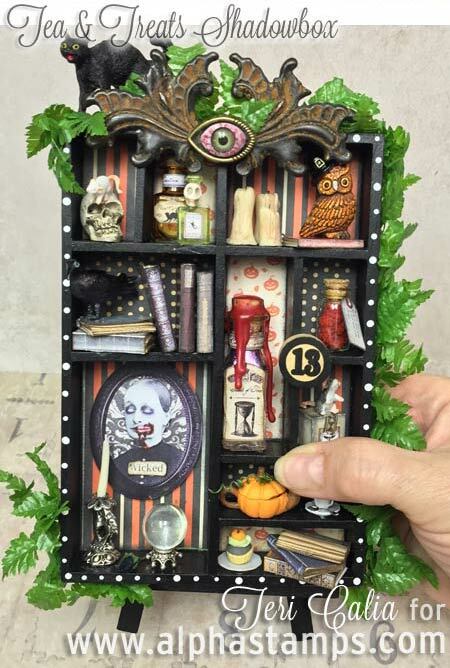 Teri so fell in love with that shadowbox that she’s made a Halloween version! So now we present the Halloween Tea and Treats Shadowbox! Made with the Mini Wood Printers Type Tray — I don’t even have to tell you how much in love I am with this shadowbox! What’s not to love about it? See below for a close-up of the eensy weensie new Pumpkin Teapot. Teri even made the tiny green tendrils and leaves on the pumpkin (the leaves were just snipped from a leaf from the Mini Fern Garland). Teri always includes such beautiful details in her artwork, like those tiny books (made from her own Tiny Little Books Collage Sheet). 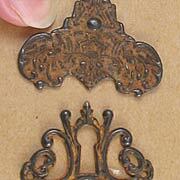 Or the up-ended Tiny Antique Silver 3D Crown as the base for a crystal ball (made from a 16mm Clear Glass Marble)? And if you love the Gargoyle Candle Holder as much as I do, guess what? You can make your very own with the (new) Gargoyle Candle Holder Kit. Also, how about the contrast of the black shadowbox, the new Winged Metal Plaque (at the top… gorgeous!) and the Mini Fern Garland? Such a nice change from the standard black and orange Halloween palette! 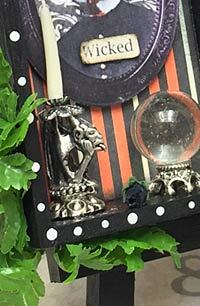 See the Halloween Tea and Treats Shadowbox Supply List and more photos in the Gallery. 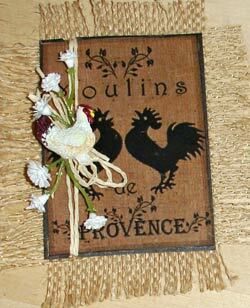 Design Team Member Tristan Robin Blakeman has created a gorgeous photo album entitled Coq dans la Campagne Francais (see the wide photo below), created with the equally beautiful Provence French Country Kit and Add-On Kit. 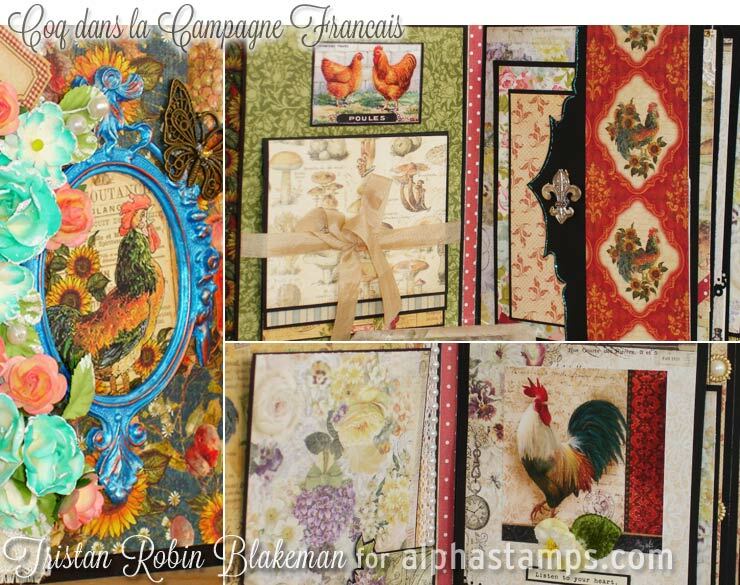 “When I found out the theme for the October Alpha Stamps kit was going to be Provence French Country, that included Tea and French Hens, I immediately knew I wanted to make a photo album. 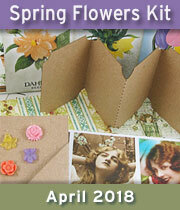 The kit was just filled with wonderful little treasures to make my album come alive! I think that this would be the perfect album to put your Thanksgiving photos in, don’t you? Visit Tristan’s blog to see more pictures and a video walk-through of his festive Autumn photo album. And if you’re pressed for time, Tristan also shows a quick and easy ATC in the same theme! 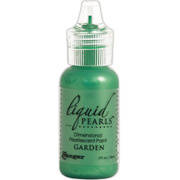 See all the colors of Liquid Pearls - All on Sale! 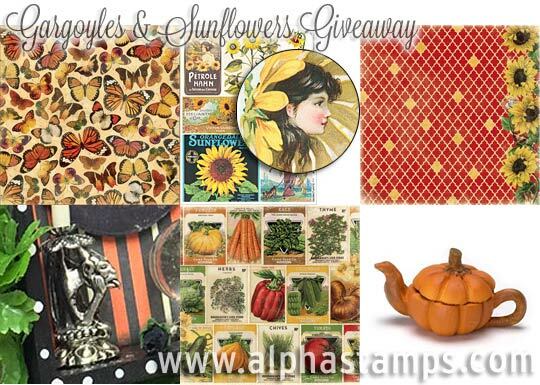 Hooray for the Gargoyles & Sunflowers Giveaway! To enter the Gargoyles & Sunflowers Giveaway drawing all you have to do is leave a comment on this blog post TODAY or TOMORROW (the deadline is 11:59 pm PST, Monday Night, October 19, 2015. 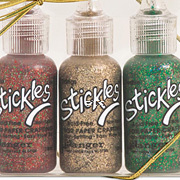 AND TO ENTER THE DRAWING, please answer one of my questions: What would you make with the items in the Giveaway? 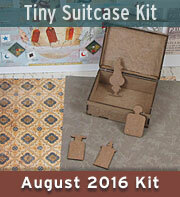 Would you like to see more dollhouse scale mini kits? 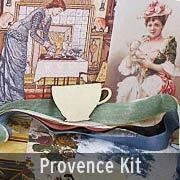 What little shrine or shadowbox scene would you use that pumpkin teapot in? Hey, who won the Christmas Wonderland Giveaway? That would be Starqueen! 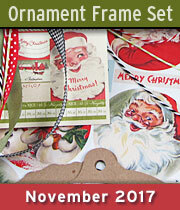 Beautiful Christmas shadow box with gorgeous goodies! I love my black kitties, but I would love to see a Golden Doodle (or any Doodle) in miniature. Love, love anything French! This giveaway is wonderful. Thanks for the opportunity to enter. October 18th, 2015 at 5:26 am. 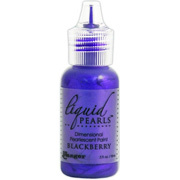 Another great giveaway! I would use the teapot as a model and make a collection of miniature teapots out of polymer clay and display them like a collection. October 18th, 2015 at 5:32 am. What a fun giveaway! I would make a delightful Halloween fairy tea party with the teapot sitting on a mushroom table. October 18th, 2015 at 5:37 am. 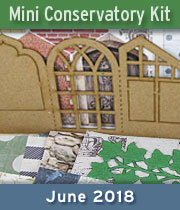 i would love more mini dollhouse kits! October 18th, 2015 at 5:41 am. LOVE the Sunflowers and Gargoyles. Our first house had a stone gargoyle over the front door. It was very cool! 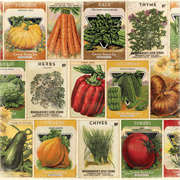 I would use some photos of our house with this!! October 18th, 2015 at 5:48 am. But the tea pot is too cute. 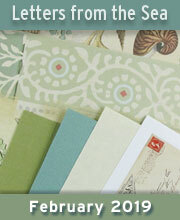 The papers would be great for my card making. October 18th, 2015 at 6:18 am. I love it all. I think the pumpkin teapot would actually look cute with an Alice in Wonderland meets Fall scene. October 18th, 2015 at 6:19 am. 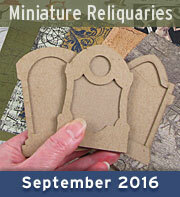 I would love to see more minis but that is because I am a dollhouse person. 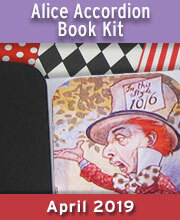 Love the idea of the teapot, gargoyle and flatware in a sort of Halloweenish Mad Hatter tea party vignette. October 18th, 2015 at 6:26 am. 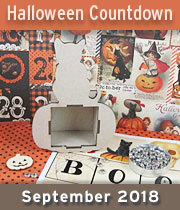 Sure thing I would make a Halloween shadowbox! 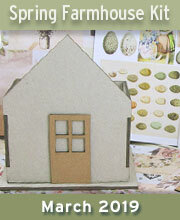 :) I love everything in dollhouse scale — so adorable! October 18th, 2015 at 6:39 am. Pumpkin teapot would be a great addition to a skeleton tea party. October 18th, 2015 at 6:42 am. October 18th, 2015 at 7:11 am. October 18th, 2015 at 7:28 am. I love that little pumpkin teapot. Being a tea granny I would make a scene with 2 witches in the garden at night, broomsticks by their side sitting at a garden table having tea before their flight. My grandkids would see it first thing when they open the front door. Love it. October 18th, 2015 at 8:08 am. I would make a dark fall themed shadow box. And yes I would love to see mini items. Quarter inch scale would be awesome!! October 18th, 2015 at 8:18 am. I think the pumpkin teapot is adorable. I think I would make a very small acorn head doll in fall colors and let her “have” the pumpkin teapot. 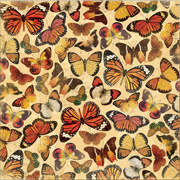 All would – of course – be inspired by the wonderful collage sheets! October 18th, 2015 at 9:01 am. October 18th, 2015 at 9:05 am. 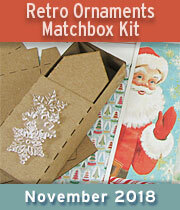 I would love to make a Thanksgiving themed shadow box with this giveaway. Love the pumpkin teapot! October 18th, 2015 at 9:55 am. 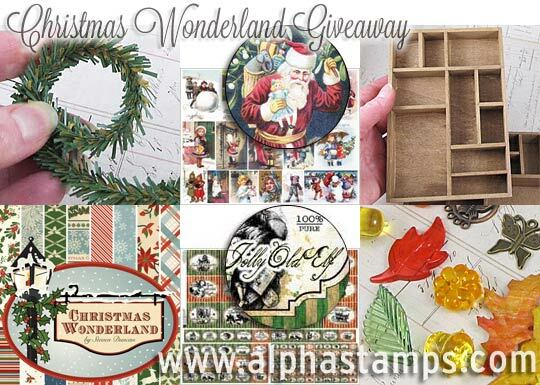 I love this giveaway Such an eclectic mix. October 18th, 2015 at 10:07 am. I would love to see more miniatures! And what would I use that little tiny, perfect pumpkin teapot for? Well, I make dolls, and I can see myself laying out a “spot of tea” for a witch’s Girls Night Out! The tablecloth would be purple and poison green, and the tiny centerpiece would be nightshade and belladonna leaves (none in the tea, thank you!) There would be a game of Ouija, of course, and I would break out my miniature Tarot cards, along with the miniature crystal ball. Then there would be a sleep-over….hmmm -coffins, or canopy beds? Guests would get to choose their….poison, as the saying goes! October 18th, 2015 at 10:08 am. October 18th, 2015 at 10:18 am. Teri does such fabulous mini scenes with great detail! 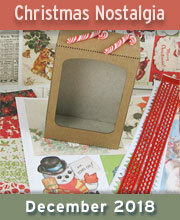 I would like to see more dollhouse scale minis to use in shadowboxes–Christmas themes would be super! I would use the Gargoyle in a Halloween shadowbox, the papers in my garden journals, and the teapot would go in a hutch in a dollhouse. October 18th, 2015 at 10:23 am. October 18th, 2015 at 10:37 am. Love the new stuff. The gargoyles would be a great addition to my flying gargoyle themed claymation! October 18th, 2015 at 10:40 am. 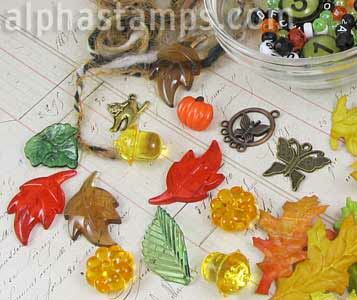 More kits on steampunk, autumn and Halloween! October 18th, 2015 at 10:57 am. October 18th, 2015 at 11:09 am. 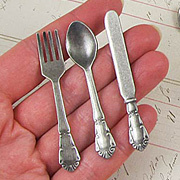 i’d love to see more dollhouse items in the Victorian theme. I collect tiny frozen Charlotte dolls, so i’d use the teapot with one of my dolls. October 18th, 2015 at 11:13 am. I love that little teapot. So cute!! I would love to see more minis. I love creating shadow boxes and little scenes like Laura makes. For all seasons! October 18th, 2015 at 11:28 am. Love the miniatures. 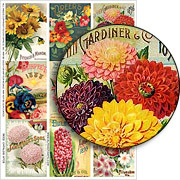 I would make a Fall themed shadow box with a vintage look. The pumpkin teapot is perfect for a Fall teaparty. October 18th, 2015 at 11:31 am. 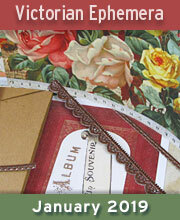 I would make a dream garden journal with the harvest and sunflower papers. 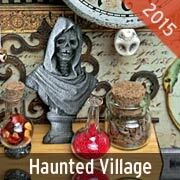 I know I could use those gargoyle candle holders in a witch’s house. Yes! 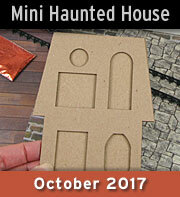 I would most definitely like to see more dollhouse scale mini kits. I’m thinking that the pumpkin teapot would go perfectly with the graphic 45 Halloween in Wonderland paper that I have been saving for a special project. October 18th, 2015 at 11:37 am. 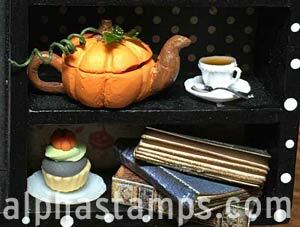 What little shrine or shadowbox scene would you use that pumpkin teapot in? 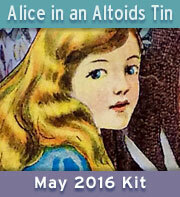 That little tea pot is perfect for my Velveteen Rabbit talking to the Skin Horse diorama. I want to create their conversation so I can install it in my office where I counsel abused children. October 18th, 2015 at 11:50 am. YES! 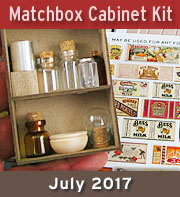 I would LOVE to see more miniature kits. 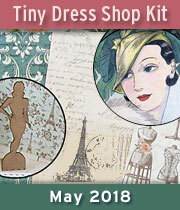 I’ve been a miniaturist for over 10 years and have been thrilled to see the little things pop up in your store. I don’t get to create miniatures like I want to, but hopefully I can clear out a spot in my studio over Christmas break and get back to making mini things. Mixed media took over my life for a while, but I need the peaceful feeling creating miniature scenes gives me. October 18th, 2015 at 11:57 am. I would love to see more miniatures of any kind. I would use the tea pot in a kitchen scene in a diorama.or shadow box.or I could buy the rest of the things to make the shadow box from today’s blog. It could be used in so many things. I love the things you all make thanks for sharing your beautiful art. October 18th, 2015 at 1:09 pm. I collect teapots, so that little mini pumpkin teapot made the whole thing perfect. October 18th, 2015 at 1:48 pm. Would love to see more dollhouse scale kits! Thinking the pumpkin teapot would look so good in an Alice In Wonderland Autumn tea party. October 18th, 2015 at 2:34 pm. I love collages, especially with a French their. I like to use them on canvas and journals. October 18th, 2015 at 2:57 pm. Accessories, paper goods and furniture. Small scale textiles , ribbon and trim are lovely. October 18th, 2015 at 7:59 pm. Love,love,love all of today’s features! I would make a Day of the Dead scene with the pumpkin tea pot on the altar!! Festive celebration of those we love who are no longer with us! October 18th, 2015 at 10:50 pm. Gargoyles and sunflowers! What’s not to love. The shadow box is very very cool! October 19th, 2015 at 3:49 am. Oh! 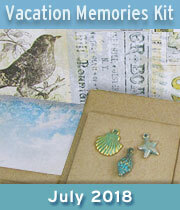 I would love to win this package!! I would make a pretty shadowbox! Please pick me !! October 19th, 2015 at 6:09 am. I would use the pumpkin teapot in a garden scene with 2 skeletons having tea. October 19th, 2015 at 6:49 am. 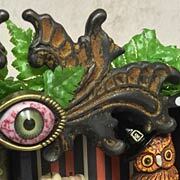 The teapot just might go with some other teapot stamps I’ve got; mini kits are popular with me, for sure; gargoyles are very big here and I’d love to incorporate that guy into SOMETHING! October 19th, 2015 at 9:21 am. The tea pot would look great in my gypsy RV. October 19th, 2015 at 10:36 am. I love this giveaway! I would make a witches Halloween tea party scene and build it around that adorable tea pot! Thank you for the opportunity to win. I’m keeping my fingers crossed! October 19th, 2015 at 9:52 pm.